Heat oven to 375°F. 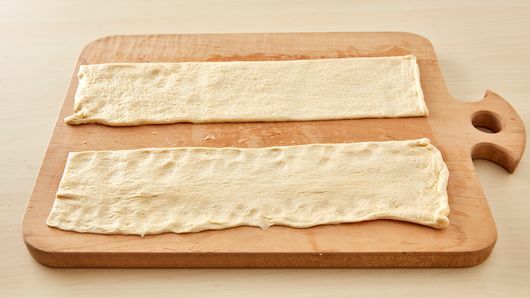 If using dough sheet: Unroll dough; cut lengthwise into 2 long rectangles. Press each into 12x4-inch rectangle. 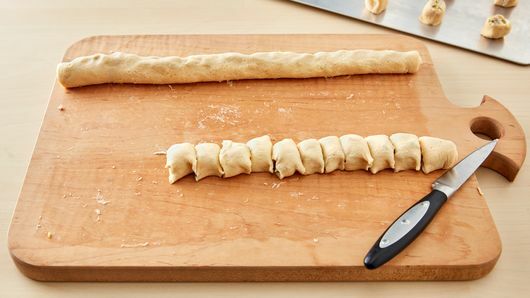 If using crescent rolls: Unroll dough; separate into 2 long rectangles. Press each into 12x4-inch rectangle, firmly pressing perforations to seal. Spread cream cheese over each rectangle to edges. 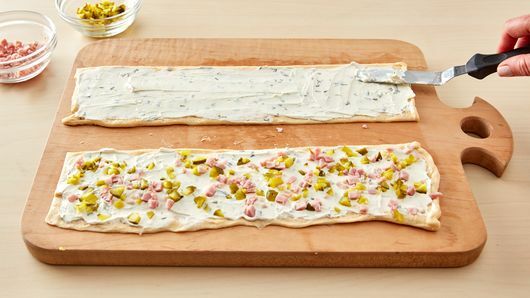 Sprinkle each with pickles and ham; press lightly into cream cheese layer. Starting with long side, roll up each rectangle; press seam to seal. With serrated knife, cut each roll into 16 slices; place slices, cut side down on ungreased large cookie sheet. Bake 13 to 16 minutes or until golden brown. Immediately remove from cookie sheet to serving platter. For easy cleanup, line cookie sheet with cooking parchment paper before placing dough slices on cookie sheet. 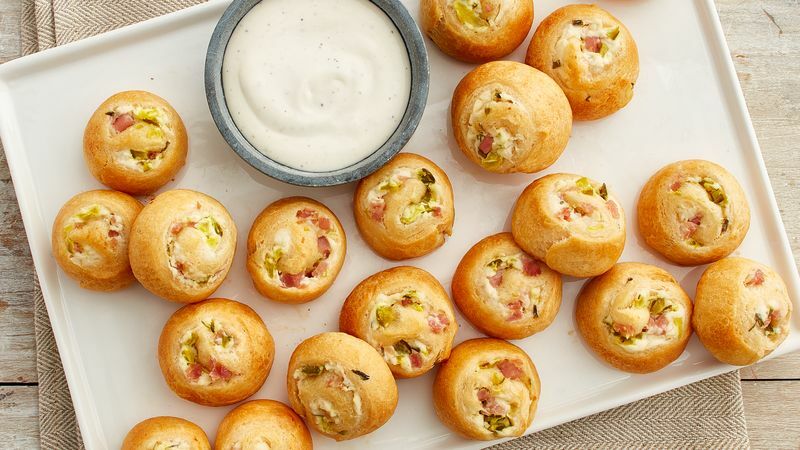 To ensure success in this recipe, press together any small dough tears to help prevent filling from leaking during baking.